Music is one of the appreciable and exceptional creations of man, which helps man to easily demonstrate the unspoken desire in him. It fuels your mind and fuels your imagination, inspiration and creativity. 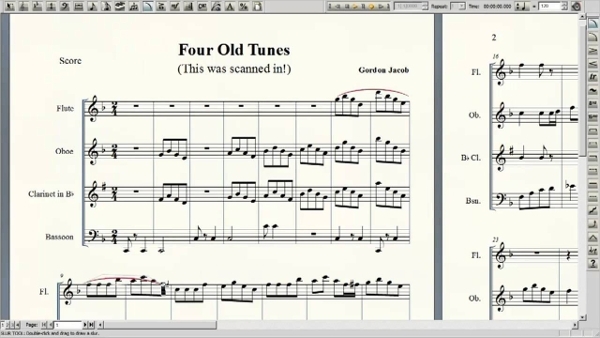 Music Notation software in your computer helps in composing, editing, and printing music sheet. It helps in correction, editing and sharing of your musical documents via internet in a clean, uniform and beautiful interface. 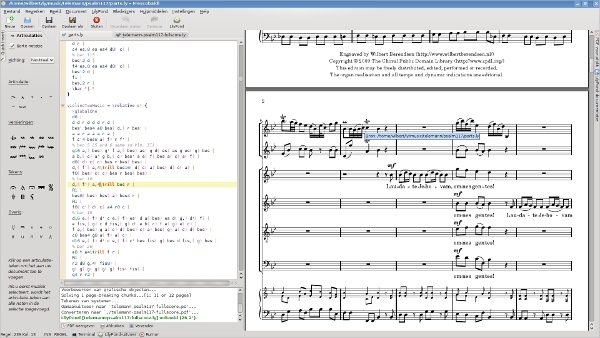 It is an outstanding notation editor compatible with Linux, Windows, Mac OSX, and FreeBSD. It can create symbols, notes and lines for any sort of score, i.e. from lead sheets to orchestral scores. Its interface provides Get Started music files, help options on the Muse Score Forums. It helps to play back your music in sound font file or in another one you specify. You can export a large variety of files like music XML, audio, PNG and PDF. Compatible with 32- bit and 64- bit. It is the best and exclusive approach of music notation software, in which Lilypond converts the music into PDF or MIDI. This website supplies you best tutorials for your start notation music with précis knowledge of the language. It has note pitches, note durations and measure pitches. It has staves, dynamic marks, page format and instrument-specific notations. Compatible with Windows, Linux, Mac OSX and FreeBSD. It serves an easy functionality which will suit your needs of music notation. It has well organised interface, outstanding online tutorials and can import and export MIDI, Finale Notation files and Music XML. With this software you can use up to eight musical instruments including guitar tablature, choral music, and lead sheets. You can hear your play back music with high quality of sounds. You can even share your music printed on attractive pages and exchange a large no. of electronic files. It is an exclusive and easy score writing software for any teachers, musicians and choir leaders. 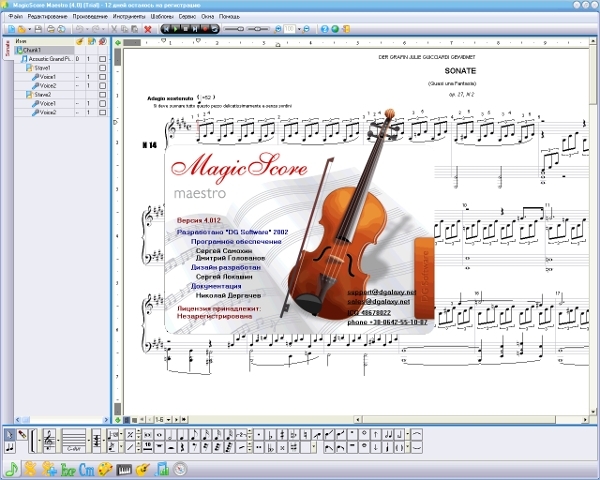 This software helps you to write out full orchestration easily and quickly. It has a beautiful interface and best tutorials for notation music. It serves Professional composers and musicians everything for crafting your scores. Cost-effective and easily available music notation software. It is the most popular music notation software across the world-wide. This software raises the excitement level of the band to march, the students to learn, the choir to sing and the orchestra. 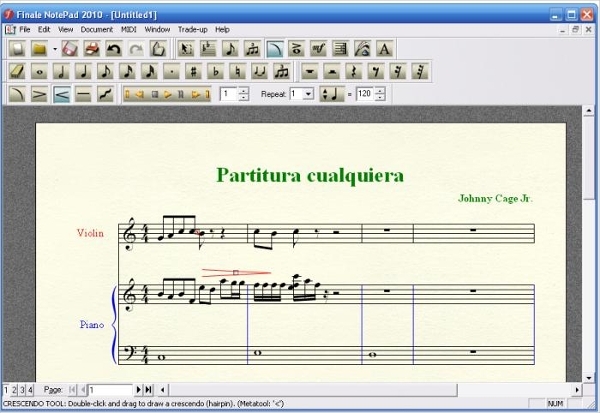 Offers freedom and flexibility for the musicians to create, edit, print and publish the different music scores. It offers a realistic and astonishing music playback. 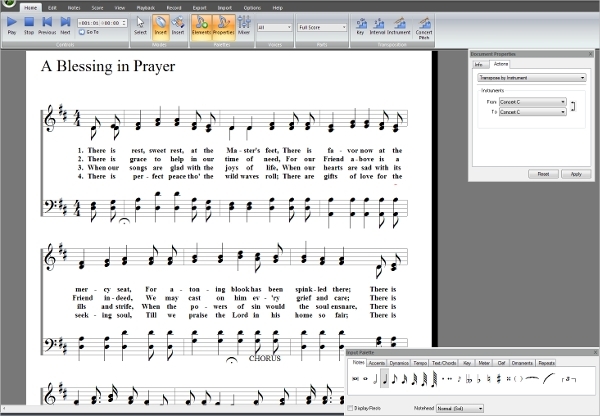 Easy to use and world standard software for music notation. This is simple and straight forward music notation and composition software which can be used to compose and convert music to audio. You can even write guitar tabs, chords and music sheets in it. It is a smart choice for composers, musicians, songwriters and choirs. It provides solutions that help you to compose, organise, learn and teach. Ability to quickly compose, write, print music sheets and publishing the scores in a variety of formats like Word documents, audio files and web pages. We have tried our best to cut out your task in searching for an efficient, easy, fast and reliable Music Notation Software. All the above software’s are free, simple to use and hardly take up any storage space. Pick out the one which appeals you the most.